Washi is the Japanese word for the traditional papers made from the long inner fibres of three plants, wa meaning Japanese and shi meaning paper. The term “rice paper” is really a misnomer, the paper has nothing to do with rice. The range of Japanese papers that The Japanese Paper Place ships around the world is vast. 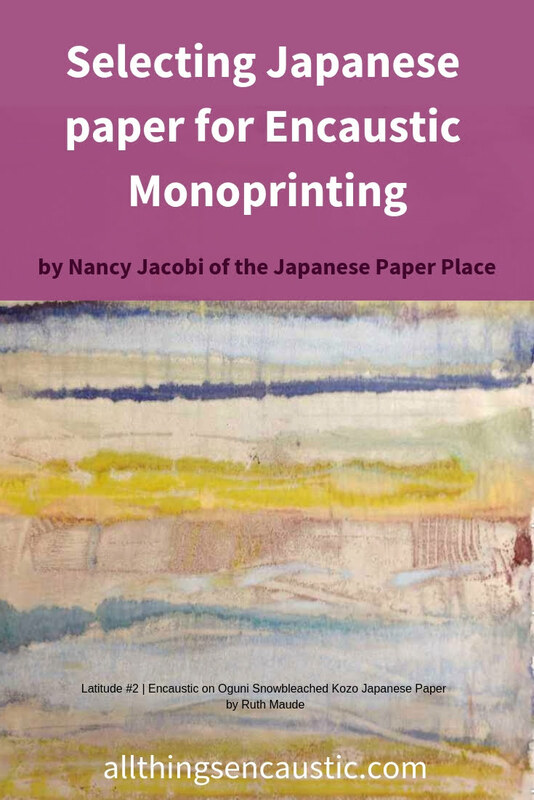 With so many Japanese papers to choose from, how do you to decide what’s best for encaustic monotype printmaking? What you will look for in a Japanese paper depends on the end result you are wanting to achieve. When printing on paper with encaustic the paper you choose plays an important role in the overall effect of the print. You’ll rarely want to completely cover washi with wax, in order to create a dialogue with the paper, letting its beauty, subtle texture, or colour play a role. If you want the wax to be well absorbed into the paper to give rich colour but still with clearly defined outlines, choose a semi-absorbent smooth paper. To emphasize mood (e.g. sunny) or theme (e.g. nature) or tone (e.g. warm), you can choose from a wide variety of coloured and lightly textured papers. For a lovely feeling of lightness in the print, select very thin translucent kozo papers, especially handmade ones less than 25g which will have the greatest strength and a subtle beautiful surface. They will also absorb the colour more intensely. It bears noting that there are two sides to Japanese paper – one a little rough as the side that is brushed onto the dryer, and a smoother side which has been dried on a flat surface. Most artists would choose the smooth side for a clearer result in printing but the choice is up to the individual. Additional surface embellishment and spot printing may be added working on both sides of the paper. You’ll want to experiment with a variety of papers to find your favourites for encaustic monoprinting. At The Japanese Paper Place we partner with resellers across the globe to make fine Japanese papers available locally throughout the world. We encourage you to contact a local reseller for your Japanese paper needs. Resellers are listed on our website japanesepaperplace.com. 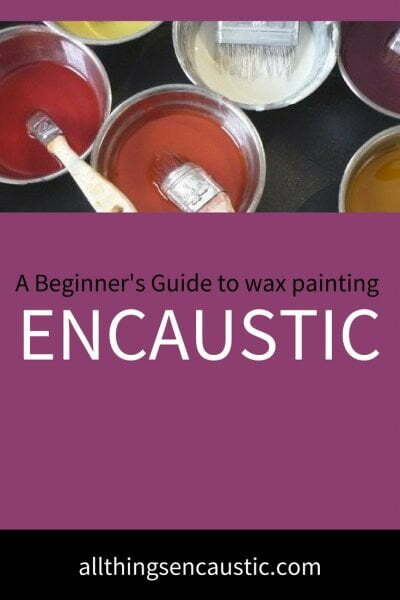 Thank you for simplifying this information & making recommendations for paper types to use with encaustic! Thanks Brenda! It is all about respecting the Japanese paper when you choose it and not burying the surface. In many cases it has been made by skilled craftspeople in a culture where everything matters. Is it possible to find KOZO Chiri “rice” or similar paper in a 45″ (or close) width in a roll? We need two pieces 45″ x 60″.